In honor of the 30th anniversary of the web, here’s my story. I was a senior at CMU in ’93/’94 and for my computer science classes I spent many long hours in the computer labs, called clusters, working on programming projects or doing other schoolwork. Many of my friends hung out in clusters and it was common to see new software friends had found, or in some cases, made. 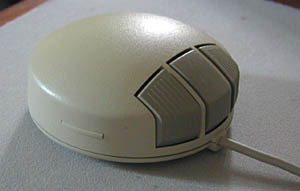 I worked mostly in the Unix rooms, where all of the DEC and Sun workstations running X-Windows were, including their hockey puck shaped mice. Late in ’93 or early in 1994 I remember being in Baker Hall, one of my favorite clusters, sitting in the back row (the photo above is from Ween Hall, a similar cluster, via CMU Archives, analysis). I wasn’t enjoying whatever I was doing so I looked around the room. Someone had a window open on their workstation with all sorts of images and text in it, and I asked him what it was. He told me it was Mosaic and he told me how to install it, which I did. I played with it for a few minutes, found it cute, and didn’t touch it again. There were only a few hundred websites and most of them were junk. What I can tell you is NO ONE thought much of the web at the time. I didn’t know a single person anywhere, in school, real life, or online, who thought this would ever become something mainstream, much less dominate the future, as the walled garden of AOL dominated how ordinary people interacted with each other online. That year I read the first issues of Wired magazine, and even wrote for them, and they barely mentioned the web either. It just felt like yet another odd academic project, with few people using it. The Internet, meaning email, gopher, telnet and newsgroups, was something I’d been using in class for years (including The Andrew Project). I’d worked with Hypercard, Director, and studied different forms of hypertext tools in class. I knew about Project Xanadau. This “web” just seemed like yet another thing. And HTML, wasn’t even a proper “language” with barely any functionality other than crude text, links and images. I remember eventually visiting the Yanoff page. It was what other people told me was the “best place to start with the web” (This is the only image I could find of Yanoff’s page, shown in the Windows version of Netscape). I was hired at Microsoft in 1994, and in early 1995 joined the Internet Explorer 1.0 team (where I’d work until version 5.0). Even then the web was far from mainstream. It was progressive for Windows to have a web browser at all, even though the first version shipped only in The Plus pack, along side screensavers and utility programs. It wasn’t until the browser wars of 1996-1999 that the industry first shifted to focus on the web and the Internet, and only as society shifted from using dial-up modems to broadband, and eventually mobile devices, in the 2000s did it become central to most people’s lives. It wasn’t until 2001 that AOL saw it’s subscribers decline as direct access to the web became commonplace. Lesson: The future often looks strange in the present. Any idea with the power to transform the world won’t make much sense at first. This is one of the best lessons from the history of innovation: if you want to be part of the future, keep weird stuff around. When did you first see the web? Leave a comment, or write a blog post about it and I’ll link to it. Stefano Toria March 12, 2014 at 9:32 am. Permalink. Having been working with computers since 1973, and online since 1974, I cannot really remember when it was that I first saw the Web. It was certainly before 1992, because at the time I worked at the first Italian ISP–and we knew what the Web was, by then. Scott March 12, 2014 at 9:45 am. Permalink. Thanks for the comment Stefano. Genevieve Howard March 12, 2014 at 12:05 pm. Permalink. What a great insight and look back. You’ve had such a rich connection to the technology as it developed. I remember getting onto the web in 1994 when I was living in Santa Cruz. It was talked about, but it didn’t seem like much of anything to me. Then I bummed around Europe and when I came back, Mosaic had the ability to show graphics (they were probably tiny gifs). Wow, I thought, this changes everything! I had a friend in Silicon Valley who told me in 1997 we should learn HTML. Again, totally missed the boat and I didn’t get into web development until 2004. Then when I first got on Facebook in early 2006, I was very underwhelmed. Your article is a good reminder to me that impact isn’t obvious in the early stages. And also, I clearly have poor future predicting abilities! Scott March 12, 2014 at 2:27 pm. Permalink. Everyone has poor future predicting abilities! Especially the people who claim to have good ones. I was in the middle of the web in the early days and I can tell you first hand even the people working on this things had no idea. What people say now about inventions that succeeded is far different from what they said at the time. Sean Crawford March 12, 2014 at 2:55 pm. Permalink. At the time there was an long empty enclosed hall along the entire back of the physical education building. After the arrival of the web and blogs I realized that no scholars had used the hall for postings, comments and threads. I decided the web’s promise of a place for essays would be as empty as television’s promise had been for improving education. Predicting the future, then, starts with acknowledging human defaults. Alice March 13, 2014 at 7:09 am. Permalink. This is fun to recall, thank you for the post! I guess it wasn’t untill cane 1995 (and my second grade) when I first dived into the Web, haha. I hates MS DOS and had always forgot how to launch graphical interface (I’m into UX now). It was surely a Win pc and I clearly remember using Altavista. Lois March 13, 2014 at 5:56 pm. Permalink. Martin Ünsal March 15, 2014 at 5:27 pm. Permalink. I first saw the WWW on the original browser that Tim Berners-Lee wrote for the NeXT platform, called WorldWideWeb. This was before the tag, before Mosaic, sometime in 1992 I guess. My friend Gus Chkaiban was a fellow NeXT nerd, and he told me about this fantastic new thing from CERN called the “World Wide Web.” I installed the browser, clicked around the handful of web pages that existed at the time, told Gus I thought it was lame, just use Gopher instead, and deleted it. If you are ever looking for a tech visionary, I am definitely not your man, but you might try Gus! Scott March 15, 2014 at 5:50 pm. Permalink. My response was similar. Most of what would turn out to be history’s great inventions were met with shrugs. Some of what we forget is what the alternative histories were – had Andreessen not left and started Netscape the revolution, if there was one at all, might have gone down a different path. It wasn’t until Netscape that the web began it’s huge climb. And looking at Mosaic no one could possibly know that would happen. Emily March 12, 2019 at 12:13 pm. Permalink. I think it would have been freshman year at Penn State, at State College, the computer lab of the honors door- that was filled 24/7 with honors computer science majors. I was taking liberal arts classes and never took a computer science course, but everyone in the dorm spent lots of time in the lab, and even the party majors like me. We learned how to do email, discussion board and that early messaging on the vm system, and at some point that year the web became more of a thing. Maybe it was there at freshman orientation? Maybe I found a way to a way to the web from a friend, or someone sitting next to me, or just opened a browsers on a computer there set at Penn State’s home page, or maybe I saw it back at home before I started Penn State. But, I remember my mom talking about the web around that time. My stepfather worked in IT at Penn State’s med school, I had access to household computers since 1980. There was something about my mom & the web & her learning how to email to keep in touch with me that seems like the start for me. Scott Berkun March 12, 2019 at 3:42 pm. Permalink. That’s wild that so many people spent time in the computer lab. I was a tech major in a tech school, so it wasn’t that weird, but Penn State was ahead of it’s time.